Our absolute commitment is to our client. We listen, plan, execute, and economically deliver work on time and on budget. We are not middlemen or brokers. We directly lead, manage, and supervise every project from start to finish. Safety, quality, and team work are not goals but are company culture traits. Safety is not negotiable, quality is job one and results are produced by teamwork. While our Subcontractors are our partners, we self perform essential activities with our in-house skills and equipment. Subcontractors are our partners. Formed in 2006 by the merger of APCO Construction and ArCon Services, APCO/ArCon became a multidiscipline Engineering and Construction firm providing wide range of services to multiple clients implementing variety of projects that include infrastructure (Roads, Water, and Sewer) and a host of building types for private and public entities. Our projects have been successfully delivered utilizing competitive hard bid method, construction management or design build. We are especially proud of our record of zero accidents, zero utilization, and continuous measured growth. In June of 2012, APCO/ArCon Acquired CDPA Architects, an Architectural/Engineering firm with rich design portfolio since 1961 (firm previously partly owned by an APCO/ArCon founding member). CDPA Architects is now known as CDPA Architects + Planners. The combined experience and resources of the two firms offer our clients a “one stop shop” for multiple services in Construction, Engineering or Design arenas allowing us to undertake projects from small to large magnitude providing our existing and future clients with the advantage of looking at the challenge from all possible angles and make informed recommendations and decisions. 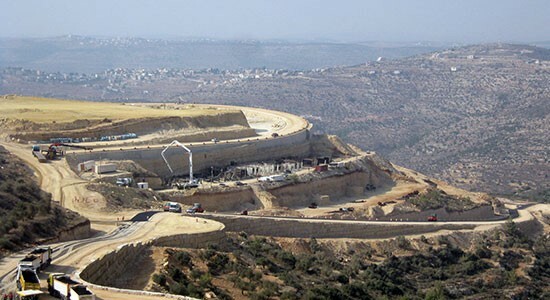 APCO/ArCon was selected in 2008 by United States Agency for International Development (USAID) as a prime contractor to participate in the implementation of the Infrastructure Needs Program (INP I) in the West Bank/Gaza. Since then, APCO/Arcon delivered IDIQ - FFP four school task orders, over twenty road projects, 7 reservoirs and two water distribution task orders valued at $100,000,000.00. 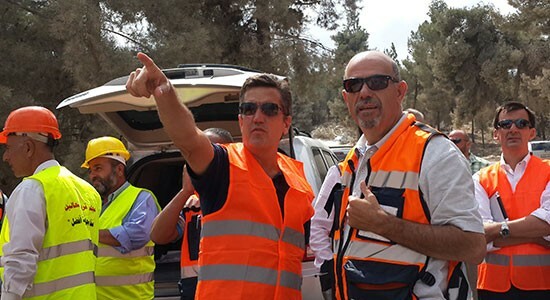 In December 2011, APCO/ArCon was selected again by USAID as a Prime Contractor for the 750 Million USD shared ceiling (INP II) program for the West Bank/Gaza for the five years. During INPII, APCO/ArCon delivered IDIQ - FFP task orders including four water task orders, over twenty road projects, valued at $120,000,000.00. 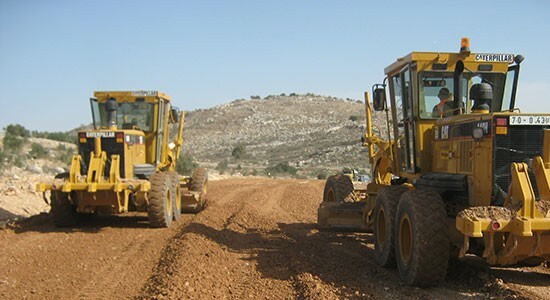 In September 2017, APCO/ArCon was selected again by USAID as one of the IDIQ holders, specifically, the small business reserve for multiple-award Indefinite Delivery/Indefinite Quantity (IDIQ) contract with an overall ceiling price of $500,000,000 for the Building Foundations Program for the West Bank/ Gaza for the next five years. The Government will issue Task Orders that are Firm Fixed Unit Price (FFUP) for the construction services required under this contract. 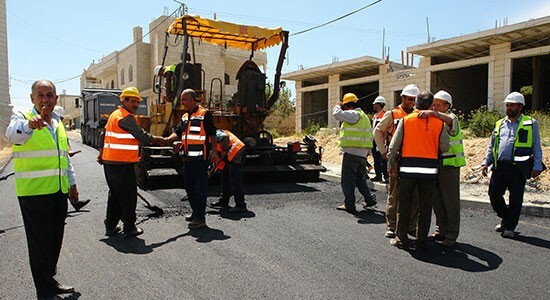 Construction and rehabilitation of transportation infrastructure. Construction and rehabilitation of water supply, storage, conveyance and pumping systems. Drilling and equipping of deep ground water production and monitoring wells and facilities. Construction and rehabilitation of wastewater collection and treatment systems including reuse schemes. Construction, commissioning, startup, maintenance, and hand-over of new wastewater treatment plants. Construction and rehabilitation of solid waste management and disposal facilities. Construction and rehabilitation of schools. 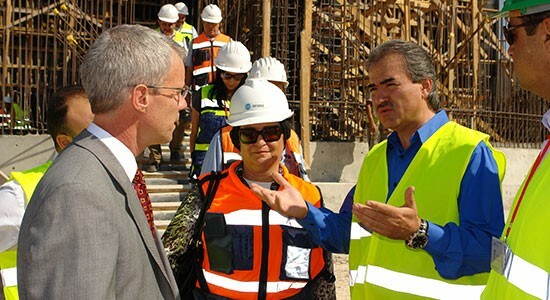 Construction and rehabilitation of health clinics and hospitals. Construction and rehabilitation of youth and sports facilities. Construction and rehabilitation of electric power generation, transmission, and distribution systems. Procurement, storage and hand-over of construction and other materials and equipment. Design and implementation of operations and maintenance programs and activities for infrastructure facilities. Design-Build and/or Design-Build-Operate Task Orders.